To have an original trip and to refresh yourselves from the hot sun why not to visit the Paleopolis? Paleopolis is an archaeological site surrounded by ancient walls where you can find still the ruins of the ancient Kerkyra. 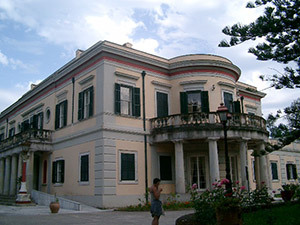 The Paleopoli is located 4 km south from Corfu town, on Kanoni peninsula. 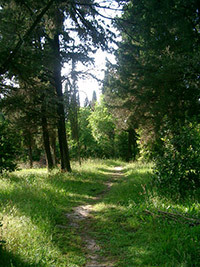 The entrance is free and you can have a walk along a beautiful path under the shadow of pine and olive trees. You can listen the sound of the sea under a sky full of birds; it’s so peaceful that also many local people come here to relax reading a book. 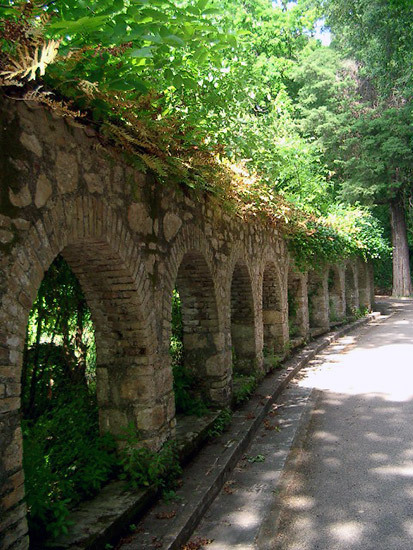 During your walk you’ll find many buildings like St. Eufemia monastery and the old open theatre that is still used today. 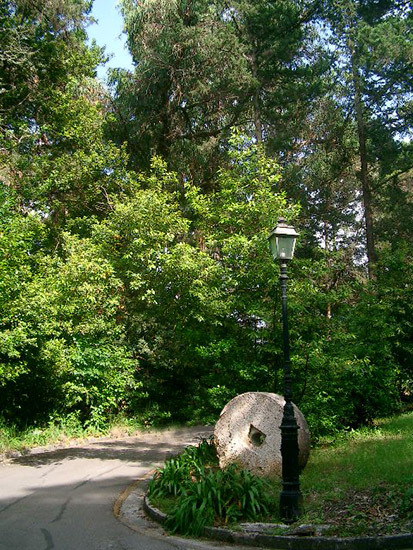 You can also visit the congress centre, Tito palace, a Byzantine church, an ancient Roman house and Mon Repos villa. 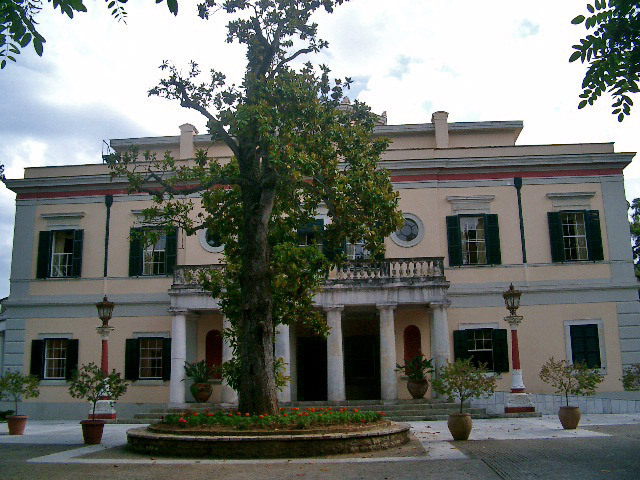 This villa was built in 1830 for the English Minister Adams and it belonged for long time to the Greek Real Family. Today hosts the museum of Paleopolis. 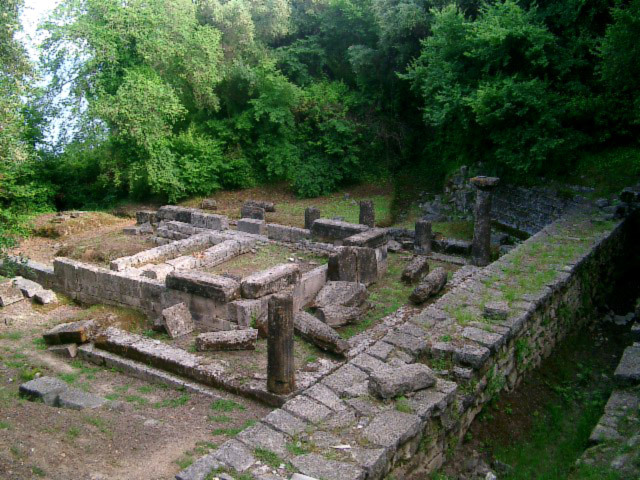 Among the ruins there are: Era’s temple, Venetian fountain and what remained today of the Doric Kardaki temple. This temple was built in honour of Apollo at the end of VI century b.C. using local limestones coming from the quarry of Varipatadon. Along the road, just outside from the Paleopoli, is possible to see other ruins like the Christian basilica of Kerkyra, some pavement sections of the ancient agorà, Roman bathes and the boatyards of the port of Alkinoos. In addition to the Paleopolis, in Kanoni peninsula there are others interesting places like the church of Panaghia Kassopitra, the Nerantzika tower, St. Teodoro church, St. Sosispatro church and Vlacherna monastery (you can visit all this historical sites under “history and culture“ in the page of churches and monasteries). 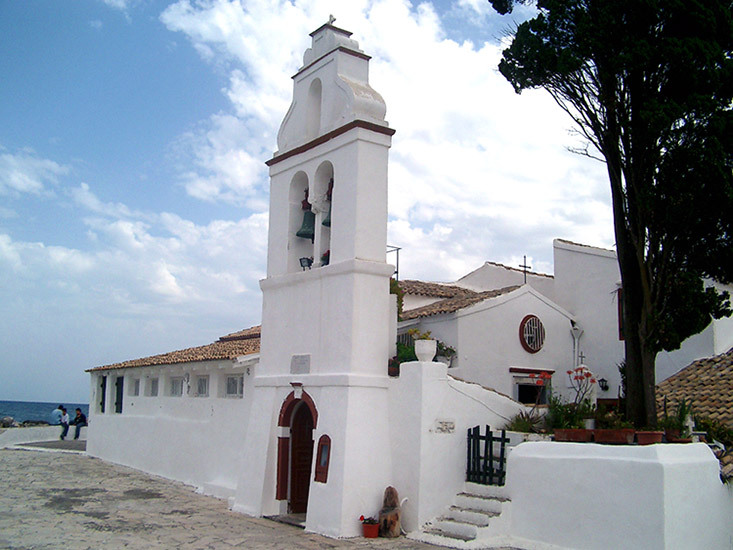 The small Vlacherna monastery is very particular because it is placed in the middle of the sea and it is connected to a small port through a short path. 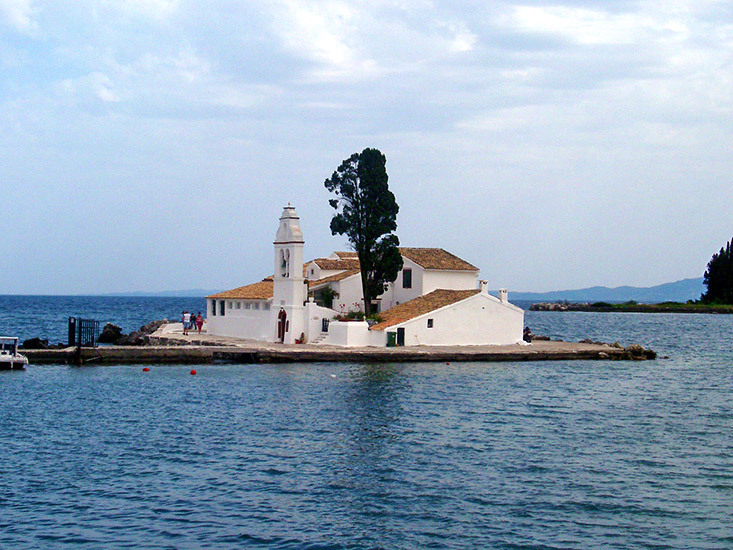 From this small port you can also take a taxi boat to reach the near small island of Pontikonissi and visit the XIII Century church of "Pantokratora" or you can cross the Halkiopoulos lagoon following on foot or by bike a nice little bridge. In this area there is the airport and you could see an airplane passing few meters over your head in order to land or to take off.